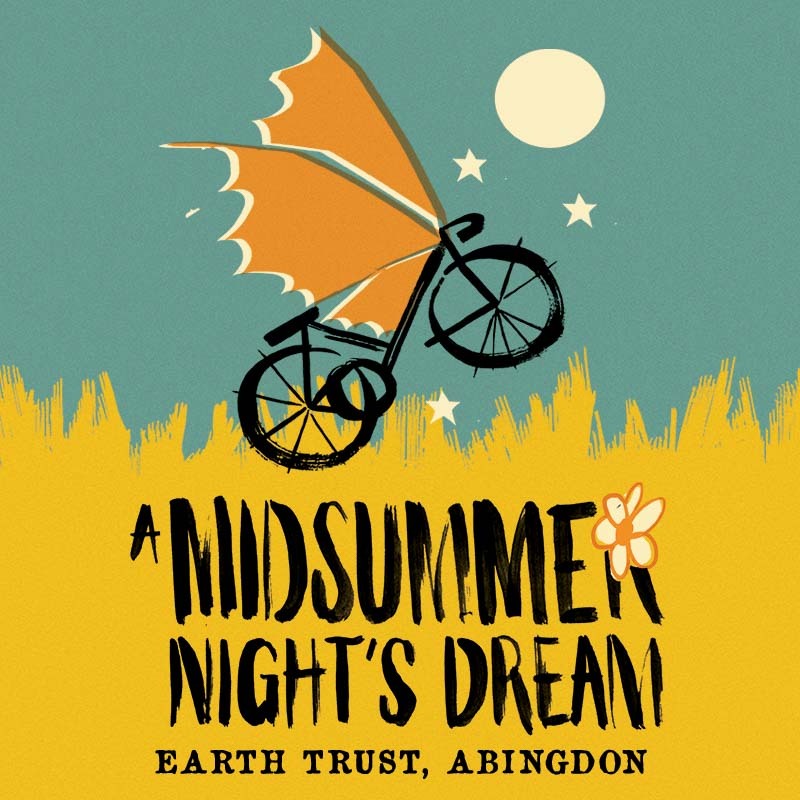 Join us in the beautiful grounds of the Earth Trust for our all-male, bicycle-powered production of Shakespeare’s A Midsummer Night’s Dream! Four young lovers find themselves enveloped in the dream-like arms of a magical forest full of sprites, where a feuding Fairy King and Queen are at war over the possession of an Indian boy. A group of amateur actors share the same forest. They’re rehearsing for a play. Fairies and humans collide. Hilarity ensues. Doors open at 6.30pm, so why not bring a picnic and come and enjoy the beautiful surroundings before the show? A £1 booking fee per paid ticket will be added to your total by the merchant. 14 available	 Under 18 £14.00 Under 18 ticket for general admission. Proof of age required.